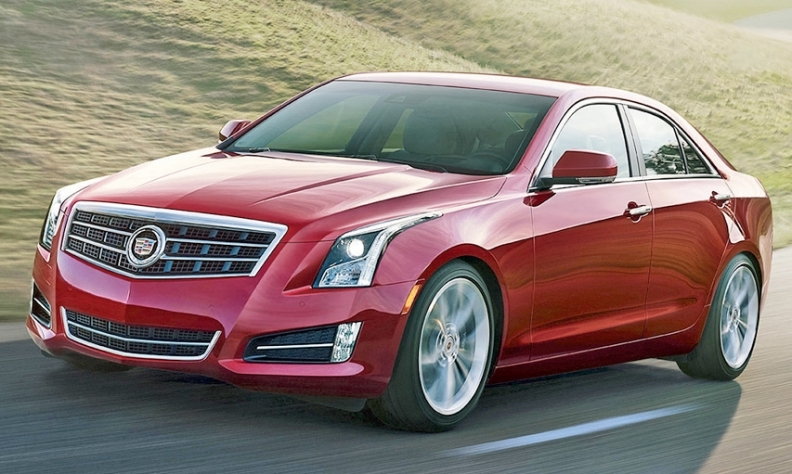 The Cadillac ATS sedan will spawn coupe and high-performance variants. From a threadbare three-vehicle lineup as recently as 2012, Cadillac is poised for a product infusion of as many as 10 new models by mid-2015. General Motors' global luxury brand will continue to fill holes in its core lineup, such as a planned large rear-wheel-drive sedan. And it will increasingly look to niche offerings to enhance the brand's cachet, such as the ELR plug-in hybrid that should hit showrooms in early 2014. The next-generation CTS hits the market this fall, featuring a longer, sleeker look and a much higher price, reflecting Cadillac's strategy to price directly against its German rivals. The first redesigned Cadillac Escalade SUV in eight years is scheduled to arrive in showrooms by March. Also in the works: a big, seven-passenger crossover based on GM's Lambda platform, a small crossover and a redesign of the SRX mid-sized crossover. Meanwhile, GM is offering significant enhancements even to recently launched models. The XTS, barely 1 year old, gets a high-performance model, the vSport. A coupe version of the ATS compact should arrive by spring. Here are highlights of Cadillac's plans for the 2014-16 model years. ATS: A coupe version of the ATS, the compact sedan that debuted in mid-2012, is expected to go on sale in spring as a 2015 model. A V-series high-performance model will arrive in late 2014, sporting the new twin-turbo V-6 that is going into the CTS vSport and the XTS as an option. Convertible or wagon variants look doubtful. GM executives confirmed that they're developing a diesel ATS. A version of the 2.0-liter turbodiesel that recently was launched in the Chevrolet Cruze is a candidate. The ATS will be due for a midcycle freshening for the 2016 model year. CTS: The redesigned 2014 CTS that reaches dealerships this fall is lower, longer, lighter and priced at more than $6,000 above its predecessor. It keeps the 3.6-liter engine and gets two new ones: the base 2.0-liter turbo and a 3.6-liter twin-turbo V-6, which will be combined with an eight-speed transmission and go into the new high-performance vSport model, slotted below the V series. A redesigned V-series model should arrive by early 2015 with one of GM's new V-8 engines under the hood. A coupe variant is further out - possibly in 2015 as a 2016 model. A wagon or convertible isn't in the plans. XTS: GM is wasting no time adding features to the large front-wheel-drive sedan, which was launched in May 2012. In August, Cadillac will begin offering a vSport with the new twin-turbo V-6. GM could add a hybrid XTS by the 2015 model year. LTS: GM plans to introduce a large rwd sedan as a competitor to the BMW 7 series and the Mercedes-Benz S class, based on a new rwd platform called Omega. It's scheduled to be launched in 2015 as a 2016 model. Look for the twin-turbo V-6 as part of the powertrain lineup, combined with an eight-speed transmission. It's a candidate for GM's future 10-speed transmission once it's ready in 2016. Plans for a range-topping $100,000-plus model, based on the same Omega platform, recently were scrapped. ELR: The plug-in hybrid, which shares a platform with the Chevrolet Volt, will be positioned as an exclusive, low-volume entry that will be priced around $70,000. It should arrive by March. Small crossover: GM is developing a small crossover as an answer to BMW's recently launched X1 and Audi's planned Q3. It likely won't arrive until the second half of 2015. A version of GM's 2.0-liter turbo engine is logical for the base engine. SRX: A redesign of the popular crossover is due in 2015 as a 2016 model. It's likely to keep the base 3.6-liter V-6 engine. Expect a hybrid variant, possibly a plug-in. Large crossover: A seven-passenger, unibody crossover, which would be based on the same platform as the Buick Enclave, GMC Acadia and Chevrolet Traverse, would give Cadillac a more direct competitor in the large-crossover segment and render the Escalade more of a niche, halo model. Expect it in 2016. Escalade/Escalade ESV: The next generation of the pricey SUV hits the market by early spring. It will get GM's new 6.2-liter V-8 engines; the twin-turbo V-6 is possible as an option. An eight-speed transmission is likely, but it might not be ready in time for the launch. The EXT pickup goes away.